Google TV is finally ready for prime time a year after it officially launched. Starting on Sunday, the update will first roll out to the Sony Internet TV units with the Logitech Revue units getting it shortly thereafter. Existing users will probably love the update as it brings a redesigned interface and a selection of the Android Market. It seems to be exactly what the platform should have been when it launched last year. But for everyone else, either those looking to cut the cord or supplement pay TV with Internet video, it’s still a tough sell. All the downfalls associated with Google TV a year ago still exist. While the system might not be half-baked anymore, I’m still not sure if Google TV deserves a place in your living room. The first version of Google TV was a mess. The user interface was inconsistent between screens and often slow in operation. The search screen used a completely different interface and the home screen wasn’t designed for TV. Like most first generation Google products, it felt like a beta. 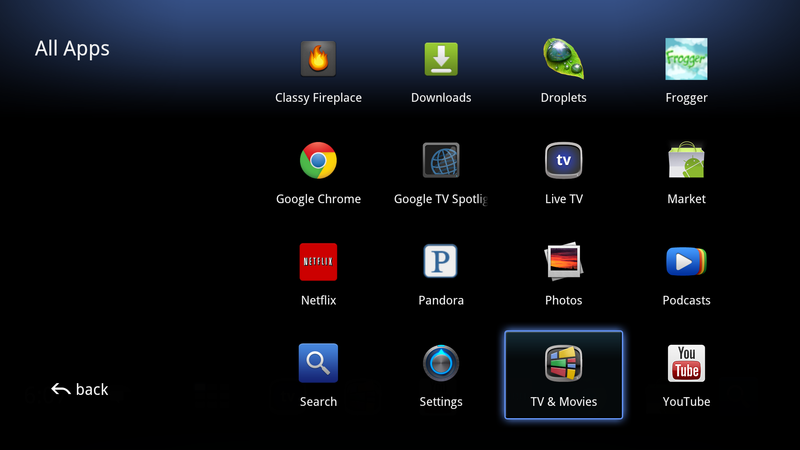 The Google TV team started anew and used Android as a design template. I can’t speak to its operation as I’m waiting for the update myself, but from the screens and demos I’ve seen, the new interface is completely different and it finally looks like a proper 10-foot interface. 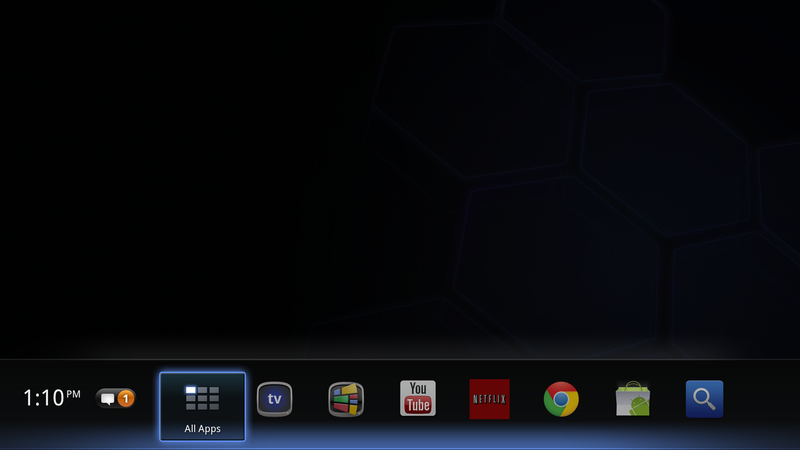 The home screen now features just a single row of customizable icons. It houses the most used apps along with a handy clock and link to notifications. The app screen now uses a more natural grid arrangement rather than a list and the Android Market looks straight out of Honeycomb. But with all the UI changes, the Google TV engineers spent the most time on improving content discovery. Google TV was never designed for cord cutters. It’s designed to live alongside paid TV, but present Internet video and apps in a seamless experience. The original Google TV search app was an amazing tool, but a tool gimped after big media’s blockade of free streaming websites. 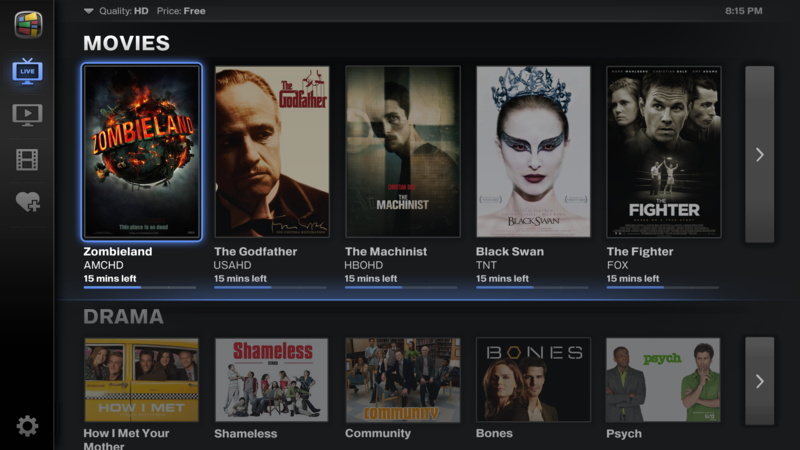 That’s where the new TV & Movies app comes in. Think of the TV & Movie app as a new guide. It attempts to bring together cable/satellite content with programming from the major paid streaming services. Better yet, it’s smart, presenting results based on viewing history and preferences. Say you want to watch Boardwalk Empire. The guide presents all the available viewing options: Your TV provider’s HBO channel naturally, but also HBO Go, and Netflix or Amazon if they’re available. This information is presented in a gorgeous grid view enhanced with cover art and additional information. During a chat I had last week with Google TV’s head, Mario Queiroz, he indicated that the team’s goal is to provide an API for this service with the intent to improve the search experience even more. Android Market was missing from the product since launch and is part of the latest update. The Market will only feature Android apps that can actually work on a TV and do not require specific hardware like a touchscreen. 30 apps out of the 800 launching will be featured including CNBC, Fox News Business, Zillow, and Aol HD — so, you know, apps you probably won’t use. Mario indicated to me that HTML 5 Google TV apps are not segregated from standard Android apps since to the user, they’re still apps. Smart. 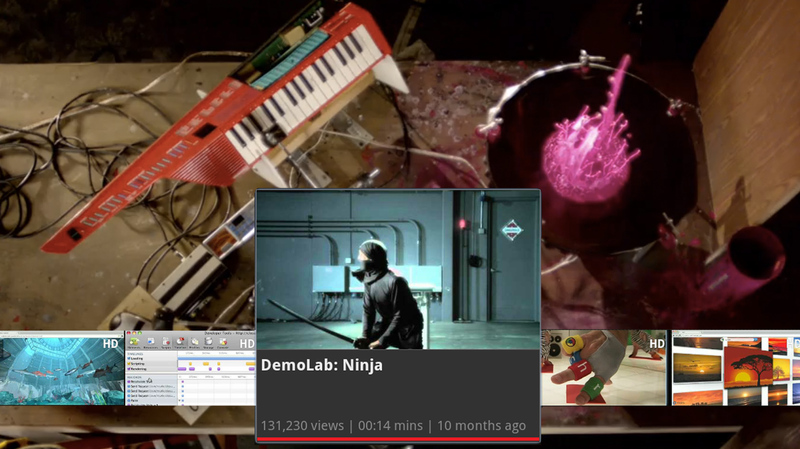 YouTube has always been a big part of Google TV and the new version launches with a completely redesigned Leanback YouTube app exclusive to the platform. Windows Media Center users should feel right at home. The app is a virtual clone of Microsoft’s aging HTPC program. Down the left side is a list of shortcuts while a clean title layout is used for the content including what appears, at least from the screenshots, to be the upcoming YouTube Channels. The new YouTube app was developed after the GTV team discovered that users used YouTube twice as much as expected (probably because big media blocked its free content). Google + is eventually coming to Google TV and could potentially save the platform from the deadpool. Of course, Google + might need a life-preserver too. Mario explained that Google +’s social tools fit neatly within the Google TV team charter. Everything from sharing photos to TV discovery could be a social experience and the team is working closely with the kids from Google + to integrate all the functionality. When Google + hits GTV — Google isn’t announcing a timetable yet — it could become a must-have for fans of the social network. 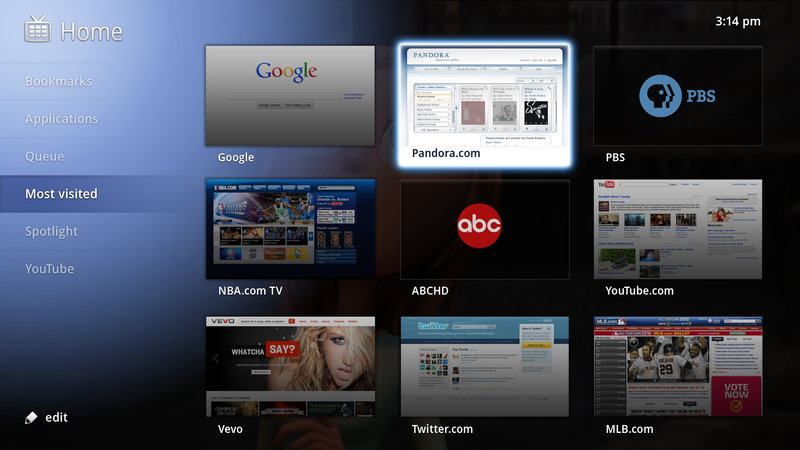 Sharing media is one of Google + strengths and could play neatly into Google TV. The new Google TV hardware finally seems ready for consumers but I’m not sure it’s the best platform for the job. The first version was a mishmash of design elements, obtrusive interfaces and strange navigation paths. 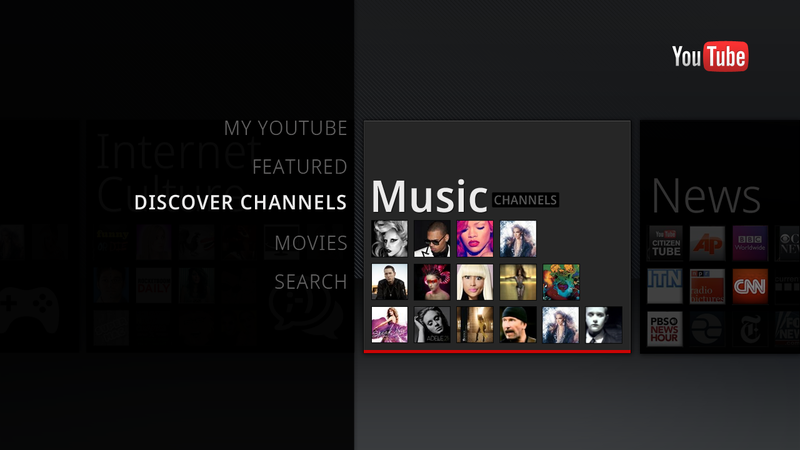 The new interface looks great, and likely feels more natural, but Google TV is still hampered by big media. The update only addresses hardware and software issues — stuff a team of engineers can control. Unfortunately Google TV didn’t take off the first time because of a larger fundamental issue that still hasn’t been addressed. Google TV was the tech media’s darling product last fall. It was supposed to be the next big thing, simultaneously beating Apple in the living room while disrupting how TV is consumed. Logitech predicted it would ship 500k of its $299 Revue Google TV units. Sony was the first out of the gate with the Internet TV (MG hated the remote) followed by the Logitech model a few weeks later. The early reviews almost universally loved it, but then big media struck. 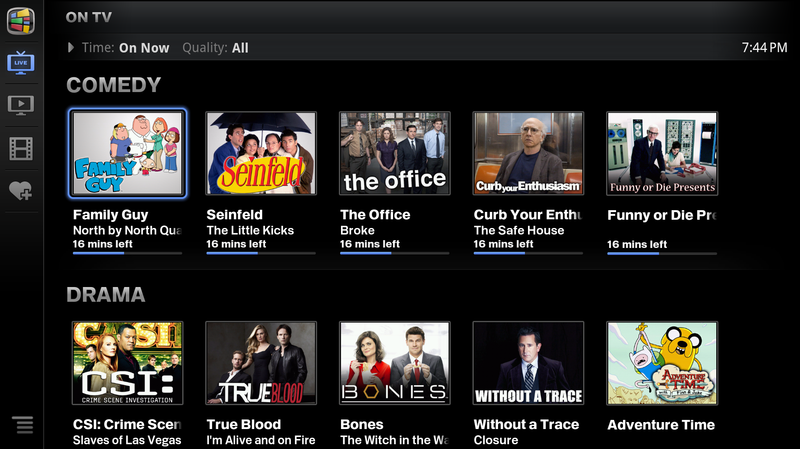 Suddenly ABC, NBC, and CBS shut out Google TV, with FOX and the other networks following suit. Hulu, Fancast, and all the other aggregate streaming sites were locked out, too. It was never designed to be the cord-cutter’s set-top box but at least before it first launched, it seemed like the perfect Hulu streamer. Without this content, Google TV became a glorified YouTube/Netflix box, a very hard sell at $299 when similar devices where selling for $99. Just weeks after launch, the platform that had showed so much promise was treading water, just trying to stay afloat. Google TV quickly faded into obscurity and Logitech eventually cut the Revue’s price by 2/3 down to $99. The bad press at its launch effectively burned Google TV the first time around and I’m not sure this new coat of paint will cover the ashes. 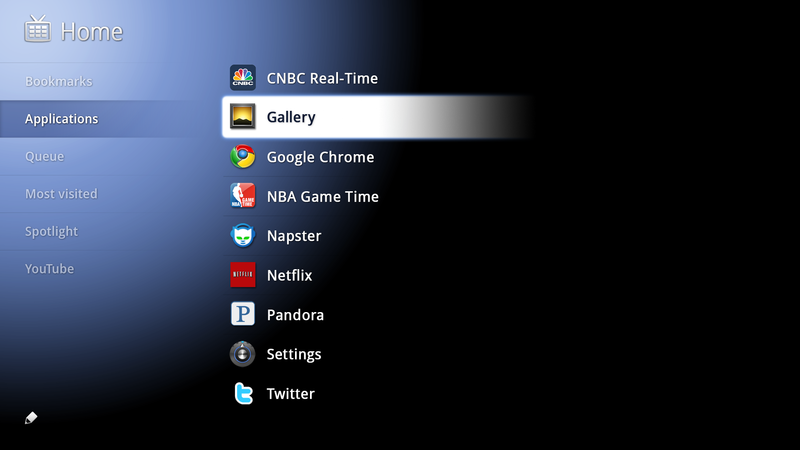 Look for a full Google TV 2.0 review in the coming days. The significant update warrants another look at the platform. However, even though I’m sure Google TV now runs like a champ, it still doesn’t look more user friendly than Roku’s interface and the Boxee Box still access to all the free content blocked from Google TV. Then for the Apple user, an Apple TV provides an awesome unified experience. There still isn’t any notable features exclusive to Google TV. Google TV is still stuck. This latest update brings a ton of features along with an improved interface. But it doesn’t add content and, well, content is king. Google is announcing today that new hardware is coming next year from Samsung, Vizio and other unannounced partners. The new units will use more powerful chipsets, which will probably make Google TV silky smooth. But Hulu and all the rest will likely still be blocked on this new hardware, too, leaving Google TV as… a glorified YouTube/Netflix box. Again. Bonus! Google just posted more demo videos of the new apps. The new overview video is below and the rest are here.